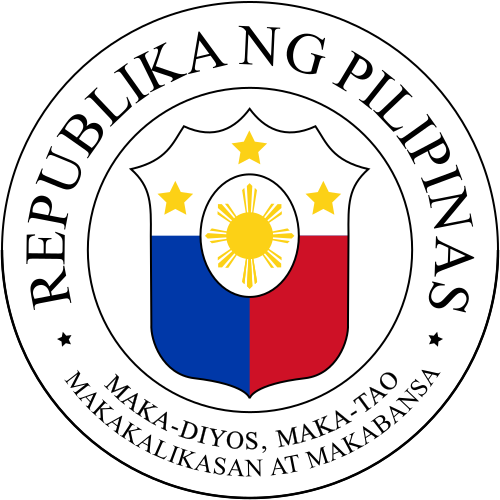 The Philippine government takes place in an organized framework of a presidential, representative, and democratic republic whereby the president is both the head of state and the head of government. This system revolves around three separate and sovereign yet interdependent branches: the legislative branch (the law-making body), the executive branch (the law-enforcing body), and the judicial branch (the law-interpreting body). Executive power is exercised by the government under the leadership of the president. Legislative power is vested in both the government and the two-chamber congress—the Senate (the upper chamber) and the House of Representatives (the lower chamber). Judicial power is vested in the courts with the Supreme Court of the Philippines as the highest judicial body. The executive branch is headed by the President who functions as both the head of state and the head of government. 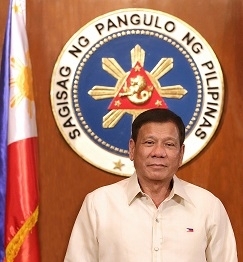 The president is also the Commander-in-Chief of the Armed Forces of the Philippines. The president is elected by popular vote to a term of six years. The president, then, appoints (and may dismiss) his/her cabinet members whom he/she presides over. 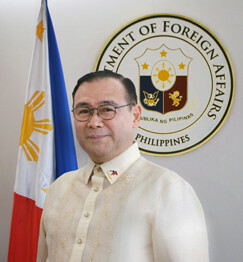 The executive seat of government is administered officially from Malacañang Palace—also the official residence of the president—in Manila. The President may no longer run for re-election, unless he/she becomes president through constitutional succession and has served for no more than four years as president. The second highest official, the vice-president is first in line to succession should the president resign, be impeached or die in office. The vice-president usually, though not always, may be a member of the president's cabinet. If there is a vacancy in the position of Vice President, the President will appoint any member of Congress (usually a party member) as new Vice President. The appointment will be validated by a three-fourths vote of Congress voting separately. The remainder of the House seats are designated for sectoral representatives elected at large through a complex "party list" system, hinging on the party receiving at least 2% to 6% of the national vote total. The upper house is located in Pasay City, while the lower house is located in Quezon City. The district and sectoral representatives are elected with a term of three years. They can be reelected but they are no longer eligible to run for a fourth consecutive term. The senators are elected to a term of six years. They can be reelected but they are no longer eligible to run for a third consecutive term. The House of Representatives may opt to pass a resolution for a vacancy of a legislative seat that will pave way for a special election. The winner of the special election will serve the unfinished term of the previous district representative; this will be considered as one elective term. The same rule applies in the Senate however it only applies if the seat is vacated before a regular legislative election.